I first saw Helen Storey's 'Dress 4 Our Time' at the Science Museum in London. It was entrancing to see, and to know of someone using their talent to showcase what was going on in the world by bringing the disciplines of art, fashion, technology and science together. I had to find out more and to talk to Helen Storey about this. In 2016 I managed to interview Helene on her work, the power of fashion, highlighting issues around the world and bringing humanity closer together. Since then, Helen Storey has continued paving the way and creating interdisciplinary projects such as 'Life On The Outskirts' https://www.lifeontheoutskirts.org/#home and 'Neurogenesis: From Neuron Birth to All that We Are' https://www.neurogenesisandallthatweare.org a new interdisciplinary exhibition combining art, fashion and live cell imaging created by Helen Storey and Kate Storey in partnership with Holition. The piece looks into existential philosophies. 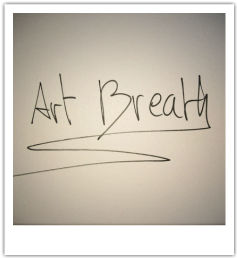 We revisit the interview below with Helen Storey now online up on Art Breath to showcase that the power of the arts live on and continue to pave the way to find solutions and bridge the gap between disciples and people. It is also 20 years since Helen Storey partnered with Holition to create 'Primitive Streak'. Helen Storey MBE RDI, inspiring and compassionate to all, uses fashion as a tool to showcase humanitarianism and to find solutions to the problems the world is facing. To frame the interview, I should mention that, Professor Helen Storey and I spoke the very morning (UK Time) Donald Trump was elected President of the United States, and so naturally, our talk veered a little in that direction. ​When did you start looking at fashion in a different way, bringing science into the discipline of fashion and using recycling as a medium? It was about the end of the 1980s, I started to get very itchy around this notion. Particularly British Designers were often pushed into doing something different every single season because we were perceived as ‘wacky’ and very inventive and all about constant change. I longed to have the freedom that the Japanese designers had, where a designer could have a concept and it could be developed over a number of years, like for instance Issey Miyake and his pleats. In a way I was looking for something that could move more slowly and be more respectful of the creative process, but also what came out the other end of the creative process. The first thing I set up to acknowledge that, was ‘Second Life’ in 1990. It was an initiative that today could be termed as ‘upcycling’ but back then, there wasn’t a word for recycling or upcycling. ‘Second Life’ was about taking beautiful or interesting clothes that had already had a life, and giving them a new one. It was also about working with other young designers who were fresh out of college, and rather than them finding themselves in companies that were so commercial, that their creativity wings were constantly clipped, we kept them busy instead, by reinventing clothes for the ‘Second Life’ line. So what did you find were the benefits of working across disciplines? Coming up with solutions and ideas that neither of you would have thought of on your own. There is something about colliding different types of imaginations that can lead to unpredictable and often more useful outcomes, certainly for the arts and design side. Did ‘Primitive Streak’ come after ‘Second Life’? Could you tell us a little about ‘Primitive Streak’, was this the project that set everything off? Yes it is, ‘Primitive Streak’ was the bridge between working in a commercial fashion sense, or even working in a fashion sense only, and beginning to collaborate with the world of science. So it was the beginning of multidisciplinarity for me. It was an initiative that was set up in the first instance by the Welcome Trust in the UK and was called Sci Art. It was an endeavour to bring scientists and artists together to capture public imagination around an area of science in a unique and unexpected way. Primitive Streak Heart Tube Hat. credit: Justine model Korinna at Models1. Primitive Streak Anaphase Dress. credit: Justine Korinna at Models 1. ​In your other projects ‘Mental’ and ‘Eye and I’ you look at emotion, and I was wondering in a world where the fashion industry and everything seems to be about marketing and branding, how important is emotion for you and how important is it to bring back emotion to the discipline of fashion – is that at all possible? Well emotion is there anyway, which is why we buy stuff. I just don’t think we, as consumers, understand very much about it, the things that trigger us to part with our money, but it is very much informed by an emotional response. It’s not that fashion and emotion have no connection, more that we are not very good at talking about what that connection is. Most designers design directly through their emotional senses. I am not talking about High Street collections; I am talking about designers who work with the initial risk of creating an inspirational look, or collection, authentically from their own individual creative source. I find in collaboration as well, the sense of who you are as a person and your ability to know who you are as well have a strong sense of the ‘other’ you are collaborating with, is at the root of whether a collaboration can be successful or not. So I would say the opposite, I would say emotion is at the heart of it all. It’s at the heart of it, but do you see a time when emotion could transcend the push for branding and marketing? Perhaps you are talking about meaning, rather than emotion. What is being branded is the ability to make you want something over and over again. That has a neurological basis, but if you move it to a different space, which is buying with meaning behind it, then I think that is very different and something that we are still learning how to do. Buying something mindfully uses another part of the brain too, not just the part that desires stuff. To some extent though being able to choose what you buy is a privilege. I think when you have very little money, you are going to be driven by the economics of what you walk towards, you can’t afford to be necessarily green for example, you can’t always afford to have choice in that sense, so I think we have to be careful about whitewashing everybody with an ability to be able to buy in a conscious way, even if it is environmentally and societally desirable. Do you envisage a time where it could be more of a norm? Ethical fashion is more available, but like you say, it is often for the privileged and it’s not always easy to buy with meaning and slow fashion, but would you say we are heading in that way? But we can’t underestimate the change of what is going to be deemed to be important. It happened in the UK with Brexit and it’s just happened a thousand fold with the election in America. So in a way I think all your questions perhaps could be seen, or reviewed through that lens. that into practice . That approach towards people will whittle its way down to every single industry, including ours. It’s an interesting time for you to be writing this because something seismic has just happened, so it’s going to give our brains a lot to chew on. How we are going to rebalance the world now, is the work of every creative mind on earth! Meanwhile, the part of the sector you are supporting and enquiring about, ( fashion) is one that is fighting in any case – the sustainability agenda is difficult because of its complexity and because it has inequality within it as well. I think one of the reasons I’ve been so drawn to working with refugee communities, over and above the heartbreak and the impossibility of standing by and doing nothing, is that the need is so clear and that the ability to help can, if you do it with some intelligence, improve a life very quickly, but with sustainability, it’s arguable who’s life you would improve straight away, even within our lifetime, because it’s such a huge systemic thing – so much more complex, but never the less we must continue doing all we can for future generations. ​I first saw your ‘Dress 4 Our Time’ at the Science Museum and then at the Peace Talks, and I wondered where your idea came from, what was the awareness you were trying to bring and what does the dress represent? Before the dress existed, ‘Dress 4 Our Time’ was a project that looked to see how the power of ‘fashion’ might serve awareness of Climate Change and I was working with the Met Office in Exeter at the time. The UN COP 21Climate Talks where coming up, the very pivotal ones in Paris at the end of 2015, and it seemed to me that fashion should try, or the way in which I work in fashion should try, and express some interest in that – in its own way; make some kind of contribution, if only in awareness raising. I was talking with the Met office and we discussed how climate change is spoken of in society and culture more broadly and it can be hard to reach diverse audiences and we wondered if fashion and music might have something to contribute to that, because within each of those industries, you often get very large networks of young people who already have a vested interest and therefore if you can work with people who have those skills and networks, it could make the communication job easier. So we started off with the idea of doing something around the start of the Climate Talks. We showed the dress at St Pancras station, with some projections on its back, which were more to do with what the world would look like if we don’t do enough to change things. It showed the world in three different phases, what the world looks like now, then 100 years ahead and what it would look like in the future if we didn’t do enough – mainly to do with sea level rise and how the world map will change accordingly. In terms of the material for the dress, I had initially started off with the idea thinking that I should probably do something around fashion technology because that is where fashion currently seems to think its newness lies. It does in part, but not as much as people think. I was sitting in an airport lounge just about to go off and see my textile designer in Belfast and all I could see on the news channel were these fields of hundreds of refugee tents and it struck me at that moment that actually the dress didn’t need anything new, it needed a cloth that had humanity in it already. That already had a history and had the marks of living upon it. So I tracked down the name of the communications head of the UN and told her what my idea was, which she really liked, and asked if she would help me to find a tent. She connected me to the UNHCR in the UK and I have been working with them ever since. ​Where did the tent come from? Different camps are in different stages of assembly. Zaatari camp in Jordan, is the one I work with, and although initially was built in 9 days, now houses 80,000 thousand people . It has been there for 5 years so it is a relatively established camp with a gigantic soul! The refugees have begun life again, it’s an extraordinary and unrecognisable life to us, but they have begun life again. When I asked for the tent it was at the point when they were moving the refugees out of tents and settling them into what they would call caravans. Caravans are a bit like shipping containers with windows, but they are more stable structures than tents. There were a lot of tents left over, and as they don’t throw an atom away in that camp, (everything is kept and stored beautifully) it was quite easy to get one sent back to the UK. The story behind the tent, was that of a family that walked from Syria to Jordan. It was a family of six that lived in it and knowing about their lives as well, gave the material much meaning. ​How did you feel about connecting fashion to the refugee cause and to climate change? What do you feel fashion as a tool provides to be able to do that? It kind of goes back to what you were asking about emotion. Fashion has self-interest in it. One of the most difficult things when you are talking about something that is either very complex, or massive like climate change, or the refugee crisis is that people can have great difficulty not feeling overwhelmed, or impotent. To use a medium that allows people to see it through an aspect they already have an interest in – which in this case, is our appearance in the world to others – you can kind of smuggle in, or at least open up a gap a bit wider, to talk about things that are more important than fashion and more important than our own clothes. That doorway is used to talk about these bigger things. This is why I think fashion is powerful, it can communicate in ways that academia alone can’t. ​You mentioned technology, and technology is growing fast and ever more present in the world and in ‘Dress 4 Our Time’ there was a lot of data collected, and I think I read somewhere that you said “data gives truth”, I was interested in that, if fashion is an art form, which we could argue it is, and it gives a perspective, do you think in a sense, data is similar to that, and it just gives a perspective or does it just give the truth? Assuming the data has been collected in the right way, it’s actually emotionless until you start looking at it, or adding interpretation and asking questions of it. The UN are absolutely rigorous in the way they capture their data and in the way they present it and analyse it. 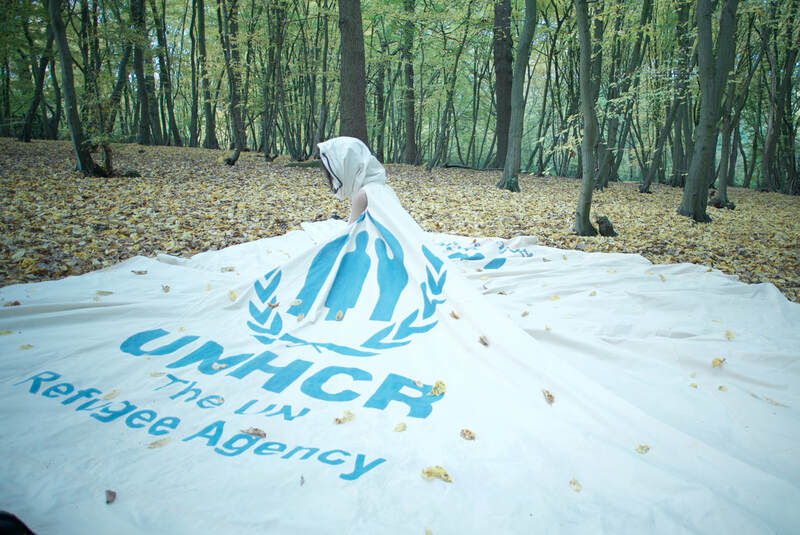 When the refugee data came, i really liked the idea of working with something that had nothing to do with me whatsoever, because of course fashion and art is all about the self. It had nothing to do with me, and I could use it and rely upon it as being a truth. UN reports, in their original form, aren’t always easy for the general public to understand, or follow, so again it’s bringing the power of fashion, self-interest, using beauty, and putting data together, allows people a way into the subject in a way they perhaps couldn’t previously imagined. There is also a power in the notion of discovering something for your self in a new way. The dress has moved, going from one location to the other and you have managed to create an item that is aesthetically beautiful as well has having a deeper meaning to it, how have people reacted to it? In the way that I had hoped, which is they have had a reaction. Mostly positive, and when it is negative it is because it’s snagged on something that they really did not want to look at, or a particular opinion about refugees, or migrants. It is a piece that has existed in two very different incarnations. When it is worn on the model Louise and she walks in the street, which isn’t a venue as such, it puts it within everyday life and where people will come across it, so there’s a very wide variety of engagement. When you put it in an institution like the Science Museum, to start off with, you are showing it to people who go to the Science Museum as a destination. Although, that audience is a particularily interesting one, since they come either because they are curious folk, or someone they are coming with, has curiosity in their minds. There’s a conversation and an engagement that is very different from being on the street, and I think it is important to do both. ​What I find fascinating is that you also try to find solutions with your projects. I am thinking about the 'Catalytic' project and 'Wonderland', dissolving bottles and dresses to clean and purify the air that we breath, and revolutionising the packaging industry. So i wondered if you could talk a little about solution finding in your projects? Because it’s not just about, marrying aesthetic and meaning, but really about trying to change things. That is the bit that I am really interested in. It is the bit that I am not on my own skilled to come up with, but I found through collaboration, particularly with Tony Ryan at Sheffield, when it comes to solution based science that my work ends up being a flag for that. It is a way to have an early conversation. For example, with the project ‘Catalytic Clothing’, if this technology could be delivered to market, to ask ahead of time would you use it, and what would your fears and hopes be is a very good exercise and we learn a lot by sharing the science in the public domain this way. We’ve learnt a lot about using fashion and art to ask those early questions to the public, which in turn feeds back into the science process. Not least of all into how a product like that would need to be marketed for people to buy it, as it would need to be bought in significant numbers for it to have an impact on air quality. question that you had never thought of. ‘Catalytic Clothing’ is asking two questions of us that we, on our own can’t answer. One is to do with a technical question, which is that the catalyst itself can’t tell the difference between pollution and perfume. It knocks out perfume and scent. For the laundry industry, which was our chosen route of delivery, it’s predicated, at least in the western world, on smelling your clothes to tell you that they are clean. Less so in China and Japan, so there is still hope that it might get piloted within those countries. Certainly the pollution problems in China are significant enough to warrant a product that was for the Chinese market alone. From the marketing side, the way the technology works is that you benefit from the purified air from the person that is ahead of you and the person behind you benefits from the movement of yours whilst this catalyst is on your clothes. The flow that is there, is what’s passing back, the pure air to each other in effect. The marketing departments don’t really know how to market altruism, they can’t find a language for somebody else benefitting a few seconds ahead of the purchaser of the product. We are used to saying we can make your hair shinier, or your house cleaner, your teeth whiter, but if somebody else is getting the benefit ahead of you for those few seconds, they don’t know how to put a language around that. So then a question also arises around the business model that would deliver the product. You can have a great idea, they can come in seconds, but actually it can be a very long road, especially if change is required along the way. What continues to inspire us about 'Catalytic Clothing' is it is a product of its time, it works and at the same time asks us all to care about the other – one day someone will find a way to get to market and save lives along the way. ​The business model of fashion has obviously changed since you first started in the 80’s, do you think it is getting better? I feel a lot more fashion is embracing sustainability, do you think it is through shaming or a popular movement that more labels will accept solution findings or that still needs time? The group Fashion Revolution are doing extraordinary things. They are making the process of the making of your clothes transparent. Consider, for example, how much a man, or woman gets paid to make an item you fall in love with and buy - if it only costs £3.99 then it’s likely he, or she hasn’t been paid at all, and its the same with materials, what the foot print has cost to get these things to you is often not reflected in the price you pay. It’s not so much about shame, although that’s how maybe people might experience it, it’s more about awareness and seeing the connection between your purchase and what it took to get to the hanger or shelf in front of you. We are almost at the stage where our mobile phones can scan the things we are about to buy, to tell the story of what we are about to purchase, in the hope it might affect our decisions. It may, or may not, because it’s in nanoseconds that you make your mind up to part with your money – in many ways, there is actually very little’ thinking' at that moment. We need to be more inventive about how we talk about sustainability, I think the word has almost lost its power before the job is done. So I think we have to keep our imaginations alive, and to use the parts of the industry who still don’t think change is necessary, as creative fuel, a catalyst if you like, to be even more brilliant in our approach, messaging and actions. ​Through what I seem to be seeing on social media, some large luxury companies and other start-ups or smaller fashion labels are embracing ethics and sustainability. Through that, it feels like it can almost force others who have not, to do so too. I think it is very good that they do it. Kering has a very close relationship with London College of Fashion for example, and they are investing in the next generation of designers who are going to go out there and I think are probably going to change things. Big companies in some ways understandably have big difficulty changing their systems because they have been forever thus, and they don’t know how to turn around big machines. But there are the likes of Nike who are doing enormous things, they have practically got all of us out of leather or plastic trainers, which a few years ago seemed unconceivable and now we are all wearing knitted trainers…. which sounded a design disaster to begin with but we are very happily wearing those now. In all this we have just got to use the right, like beauty. ​What do you mean about beauty? Beauty sits within nature and nature cuts through everything. It is why we are altered when we go for a walk, it is why trees and big skies affect us. I think we have to do not much more than go with the flow of nature, often a mistake to try and compete with her! ​Do you think we would benefit with more legislation? More laws that could be passed that would help? We need push in every direction, so yes, but legislation is a slow process. We do a lot of work with some of the key politicians and a few of the peers in the House of Lords. We have a few groups called APPG’s where Politicians from all parties and from the House of Lords come together to discuss and debate. That is where the very early stages of what might eventually become policy gets chewed around. Being involved in that has to happen along side all the other things. ​You mentioned the future generation, what are your hopes and thoughts for them? We should have had this interview yesterday, but I will say that I get an enormous amount out of one to one conversations with students. In those times, I have a lot of hope because I think those conversations unearth what that person is capable of and I think you just have to do that over and over again. ​What are you working on next and what motivates you and drives your foundation? The foundation was set up to explore and deliver the educational and outreach potential of projects after my part initial design phase is finished. In a sense, I am getting the work to exist and it will continue to do that with each project. We are working very closely with the Royal Society of Art at the moment, which means we get to work direct with seven, or eight schools at the same time. Over the years we have tended to work with one school at a time. When you know what works, it is nice to be able to scale that up quite quickly, so that is what the foundation will do. For me personally, I can’t see a day when it’s not going to be about migration and climate change. Maybe because of the early conversations I have had with the climate scientists around what is going to happen when people start moving from the parts of the world that will become uninhabitable as opposed to what is happening at the moment, which is that people have to flee through persecution or war. So climate change and migration are soon going to be nature’s cause and effect and we miss a huge evolutionary lesson now, if we don’t see this as an opportunity to understand how we are going to share our wealth, our educational and geographic luck and privilege, and again, through the lens of today’s election result, God knows where that might leaves us. Let’s hope the bad is SO bad that the good and intelligent shines through. Professor Helen Storey MBE RDI is an award winning British artist and designer. She is Professor of Fashion and Science at the Centre for Sustainable Fashion, University of the Arts London, London College of Fashion and Co-Director of The Helen Storey Foundation. Helen graduated in Fashion from Kingston Polytechnic in 1981, and then worked with Valentino and Lancetti in Rome. She returned to London and worked with Belville Sassoon before launching her own label in 1983 with Caroline Coates. Storey’s late ‘80s and early ‘90s collections were noted for their questioning of traditional notions of glamour, expense and women’s image, including the launch of her 2nd Life range of clothes in 1992. In 1991, Storey won Most Innovative Designer Of The Year and was nominated for British Designer Of The Year by The British Fashion Council. Storey was awarded Honorary Professorships at Heriot Watt University and King’s College London in 2001 and 2003 respectively and became a Visiting Professor of Material Chemistry at Sheffield University in 2008. In 2012 she was awarded Honorary Doctor of Science at University of Sheffield and Honorary Professor of Craft and Design at University of Dundee. 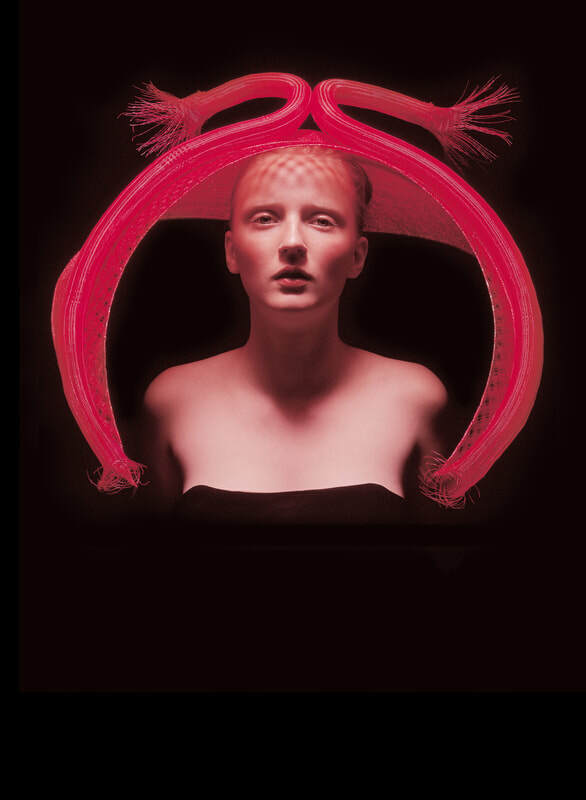 Helen was awarded a Royal Designer for Industry in 2015 for pushing the boundaries of fashion and design and making challenging scientific concepts accessible to the public. Her pioneering work over the last decade has brought the worlds of art and science together, producing hybrid projects, and products that have broken new and award winning ground, and in 2009 she was awarded an MBE for ‘Services to Arts’.